There was a time in my life when reading professional books and journals was nearly a full time job onto itself, especially when I was starting out in my career. The books seemed to come first and then the journals, particularly Publishers Weekly and it's UK counterpart, The Bookseller. Added to the mix were academic and library publications such as The Chronicle of Higher Education, Library Journal, Kirkus Reviews, Choice: Current Reviews for Academic Libraries, and a number of related newsletters. Weekends and nights were reserved for professional reading. Now retired, I haven't read a professional book in years, although I try keep my eye on the publishing industry via the Web. 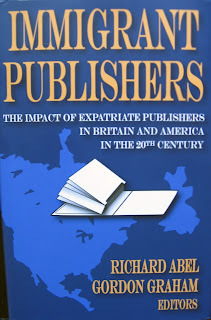 Nonetheless I've been remiss; it was only recently that I came across a book published some four years ago, a very important one to me and, I think, to the history of publishing, Immigrant Publishers: The Impact of Expatriate Publishers in Britain and America in the 20th Century (Transaction Publishers, 2009). One of the co-editors, Richard Abel, was the founder of Richard Abel and Co., a major bookseller to academic and research libraries during my career. 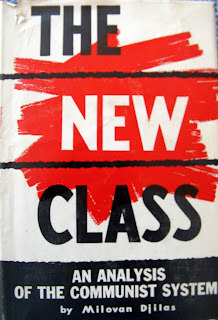 Perhaps not too coincidentally, the book was published by Transaction Publishers which was headed by the late Irving Louis Horowitz, a sociologist who was a great publisher in his own right, publishing important works that others would have deemed too unprofitable to tackle. I competed with Horowitz at times for authors but we had a cordial relationship. Naturally, I was able to access large chunks of the book on Google Books but through one of Amazon's "partners" I was able to buy a new copy, still shrink wrapped for half the price. Probably this was a review copy that had been sold. Some things never change. I wanted the hard cover for my collection of publishing books, particularly as it covers my own publishing roots. Immigrant Publishers portrays a number of individuals I knew, worked with, and/or competed with. 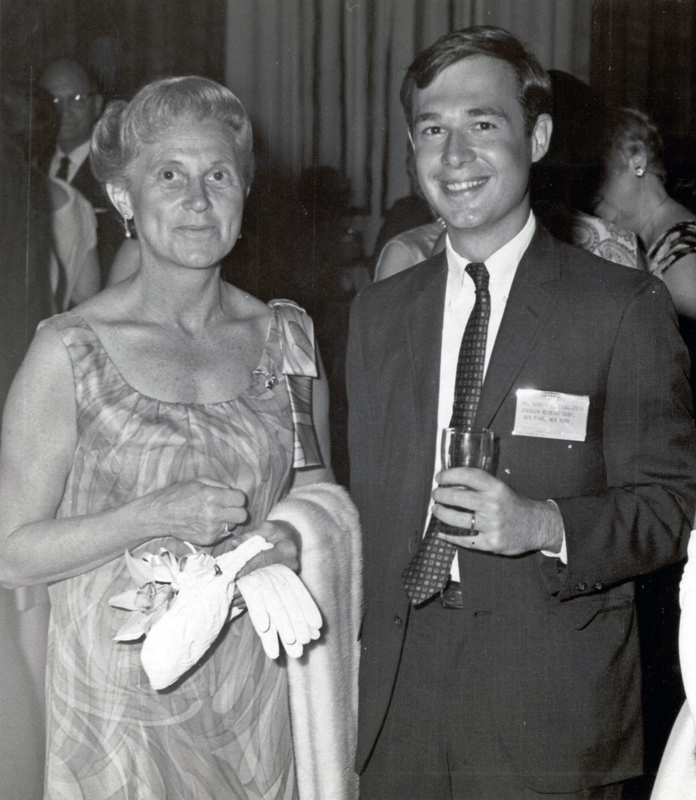 For me personally, the most influential person was Walter J. Johnson, who was my first employer at the Johnson Reprint Division of Academic Press. He was my "accidental mentor" and I would like to think that some of his better attributes, his intensely productive and entrepreneurial nature, became part of my working demeanor and without that subliminal tutelage, my career might have been very different. Two chapters are devoted to Walter Johnson, one by Edwin Beschler covering Johnson and his brother in law / partner Kurt Jacoby and their flight from Nazi dominated Europe to New York (with various stops between), establishing Academic Press (AP) in 1942. Johnson arrived with his wife, Thekla, after he had spent some time in a concentration camp but won his release. The other chapter is by Albert Henderson covering Johnson Reprint Corporation (JRC), run exclusively by Johnson (as was Walter J. Johnson, Inc., his antiquarian firm) and JRC's trailblazing accomplishments in the world of scholarly reprints. I vaguely knew Beschler who was an AP editor but I worked closely with Henderson. Walter Johnson was an enigma to me when I joined the firm in 1964, straight out of college, winding up in the Production Department of JRC. On the one hand he could be charming, even endearing, but he also managed his businesses through fear and divisiveness, and constantly displayed a high level of distrustfulness. But it was "justified paranoia" given his path to the United States (along with other publishers covered in the book) to escape (just barely) the encroaching threat of Nazi ideology inspired genocide (a fate of many of the family members of Johnson, nee' Jolowicz, changing his name and his religion "to never again be victimized"). Henderson recounts a meeting in the conference room of JRC which perfectly illustrates Johnson's suspicious personality, one that I also attended. It was a meeting called by my immediate boss, Fred Rappaport (another important influence on my career who is still a friend of ours after all these years). Johnson was out of town but had placed a call to Fred waiting impatiently on the phone while the switchboard operators attempted to locate him. At first they were unable to find him, until he was finally traced to the conference room. Johnson was incredulous and furious -- "what do you mean having a meeting without me?" -- you could hear Fred desperately trying to defend himself. I also vividly remember another incident when Johnson stormed into the accounting department which was opposite my production department. He was again furious, yelling at the accounting manager (whose name I've forgotten). He picked up a calculator from a nearby desk (bear in mind, a 1960's calculator would weigh in at almost 40 pounds). raised it over his head, and smashed it to the floor, storming out of the department, leaving stunned silence in his wake. So I would see Walter in the office some Saturdays early in my career, and he began to depend on me to handle the more difficult reprint projects. Which leads to one of my favorite Johnson stories. One such "rush" project (the rush was always to beat Kraus Reprint to the punch), was a large serial set of some public domain title, involving scores of volumes. We needed to get 50 complete sets out of Arnold's Book Bindery (in Reading PA ASAP) and towards that end (and for other projects as well), I had to go to Arnolds from time to time on a small plane from Newark Airport. I was also in frequent contact with them via phone from the office (remember, this is thirty years before emails and twenty before faxes). Well, one of Johnson's favorite "management techniques" was to monitor activities through the two Doberman Pinschers he had as receptionists/telephone operators. (There was no direct dial long distance -- all such calls had to be placed through the operators.) One morning I had to speak to Arnolds about that rush project and I asked one of the watch dogs to place the call and she said no. I said, no? What do you mean? And she said, Mr. Johnson said no long distance phone calls without his personal approval because our long distance bills were getting too high, goodbye. I saw red and I grabbed the entire file on the project (everything was on paper of course so these files could be several inches thick), and I levitated (at least it seemed to me) down the stairs (his office was on the 10th floor, mine on the 11th) which meant passing the dogs at the desk (who smilingly glared at me, relishing their brief moment of power) and I approached Johnson's office, which had two doors, one from the hallway which had a red light over it and if the light was lit it meant he was in a meeting (the light was on that day) and could not be disturbed, and the other door from the editorial department (where Al Henderson was sitting). I went through the editorial department and threw open Johnson's door and indeed he was meeting with some people I didn't know, and as I entered, he started to mutter, slightly outraged, Bob, what is this? I slammed the file on his desk and said, you want the books, you call Arnold's Bookbindery! I walked out to the refrains of Bob, Bob, Bob! following my back out the door. Of course by the time I returned to my office the thought occurred to me that I better start packing up my personal stuff as probably I'd be losing my job that very day. Indeed, ten minutes later he called and demanded that I come back to the office, which I did. 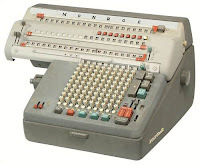 But there he was at the switchboard castigating (mostly for my benefit) the Dobermans at the desk, saying over and over again "I didn't mean Bob!" Although it was a vivid illustration of his divisive management techniques, I also think the incident was a lesson for him that his rough tactics did not intimidate me. From then on, I never had any difficulty with him and if anything, he treated me solicitously. 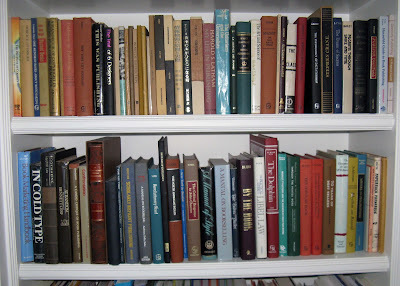 There was no question that Johnson was a brilliant publisher, from a publishing family, and Academic Press and Johnson Reprint, addressed a real need for scientific and academic information, producing new research material and bringing back out of print works to fulfill the insatiable appetite for such information, particularly by libraries who at that time enjoyed very lucrative government funded budgets. 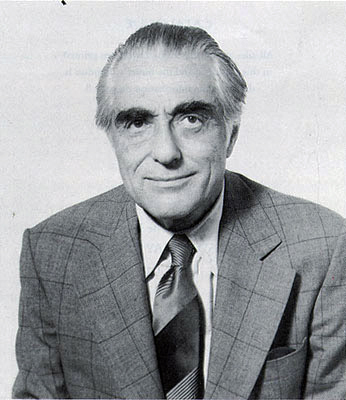 Although I learned a lot from my "accidental mentor" my relationship with Johnson and his firm was doomed as I had learned everything I could in production, moved on to head up the editorial department, and even though he named me an "Assistant Vice President" in November 1969, I could see the handwriting on the wall when Harcourt Brace Jovanovich entered the picture at the end of that decade. I was solicited by a start-up competitor, Greenwood Press, headed by Harold Mason, a librarian who had briefly worked for Johnson's antiquarian division. Johnson offered me raises, promotions, anything to keep me from the competition. What he could not offer me was any kind of career path into original publishing, which is where I was trying to take some new JRC programs, but Harcourt blocked the way and even Academic Press was moving into the humanities and the social sciences where I was trying to go with their new "Seminar Press" (which Harcourt squashed anyhow). My soon-to-be new wife, Ann, headed up customer service for JRC and Johnson's knee jerk reaction was to be suspicious of her -- she remaining at JRC while I went to a competitor. He called her into his office to be interrogated and in the end we both had to assure him of the ethical standards we both adhered to and remarkably he accepted it. As it turned out, it was only a couple years later that JRC was closed in spite of Bill Jovanovich's reassurances of continuing everything as before. My decision was the right one and within a few years I was President of Greenwood Press and as I said, I would like to think that the better aspects of Walter's work ethic materialized in my own management techniques. At first we had little contact, but later he begrudgingly acknowledged my career progress and we used to chat regularly at Frankfurt, long after he left Academic but remained the largest shareholder of Harcourt which purchased Academic in 1969. I think Ann and I were among the very few former employees at his funeral service in 1996, his working until he died at the age of 88, on the day of my 54th birthday. His company, Pergamon Press and ours were both caught up in heady days of microfiche reproduction of public domain government documents. We had been filming all the Congressional Hearings to 1969 and we had rolled out a similar program for municipal documents. Both Pergamon and Greenwood had started to tackle State Documents, so we were head to head competitors although both programs were still in their formative stages. Each company had produced promotional literature describing its forthcoming program and the American Library Association had asked us to speak about them at one of their government documents sessions. The editor of our program, however, was also the editor of our municipal project and he discovered, sort of at the last minute, that he had a conflicting speaking engagement about the municipal documents program and as that was much further along (and perhaps he didn't relish the thought of taking on Robert Maxwell who was to speak on behalf of Pergamon), I was thrown to the sharks with only a couple hours notice. I had written the promotion piece myself so I was familiar with many of the details, but not all. In any event, there I was, a thirty year old utterly inexperienced public speaker, having to face someone whose public speaking ability was legendary, a former Member of Parliament with a booming voice, whose reputation preceded him. The dreaded time finally arrived and I was shocked at the sea of faces attending this meeting, maybe a couple of hundred, a far larger crowd than I imagined. Perhaps Maxwell was the draw and he was invited to speak first. OK I said to myself, that will give me time to prepare any rejoinders if I need them. He stood at the podium and held up the very brochure I wrote (not his own), the cover of which heralded "Solve All Your State Documents Problems -- acquisitions, claims, checking-in, cataloging, binding, shelving, retrieval." He silently held it up (it seemed like hours to me, but it was only for about 15 seconds) waving it back and forth so all could see. (It was a June meeting, in Detroit as I recall. I had worn a Haspel Wash and Wear suit and I could feel the sweat trickling down my back. I felt certain that pits of stain were forming under my arms. Why was he holding up our brochure, not saying anything?) Suddenly, in his bass English voice he boomed "Huckster!" I blinked in astonishment (never having been called a huckster before, but thinking it must take one to know one). He then went on tearing our program apart, saying nearly nothing about their own. In a way it didn't surprise me, given his reputation and given both programs were "announcements" and in fact did not yet exist. Easier to criticize ours than say something about their own. He looked at me sitting in the first row with every thrust of his voice. After about ten or fifteen minutes of my verbal whipping, it was my turn. I remembered the fear of whether my anxiety-induced sweat would be evident on my way up to the podium. The crowd was clearly agitated by the tension Maxwell had created, some librarians uncomfortable about a verbal confrontation between the two of us. Well, they didn't have to worry about me as I knew there was no way I could win that battle. Maxwell knew it too and the smirk on his face showed his pleasure at having me where he wanted me. So instead of saying anything about the attack he levied, or defending our program in any way, or, forbid, attacking his, I basically went about my business of explaining our program, how it would work, the tentative nature of it at that point, and we would be eager to have their input as to the directions we should take. In other words, I completely ignored Maxwell, as if he had never spoken. Afterwards, librarians came up to me to thank me for not responding in kind. Any future contact between Maxwell and myself was confined to merely passing by one another in the aisles of Frankfurt or some other ALA meetings, one not acknowledging the other. He died a mysterious death, presumably having fallen off his yacht in the Atlantic, after which it was discovered he had raided his company's pension fund to keep his publishing empire floating. 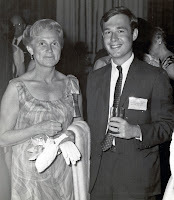 Another publisher profiled in the book is Fred Praeger whose parents failed to escape Nazi Germany and died in the gas chambers at Auschwitz, leaving a profound impact on Fred. He ultimately formed Praeger Publishers and, with the help of CIA funds, began to publish the very successful "Special Studies" series that was squarely aimed at the threat of the Soviet Union. 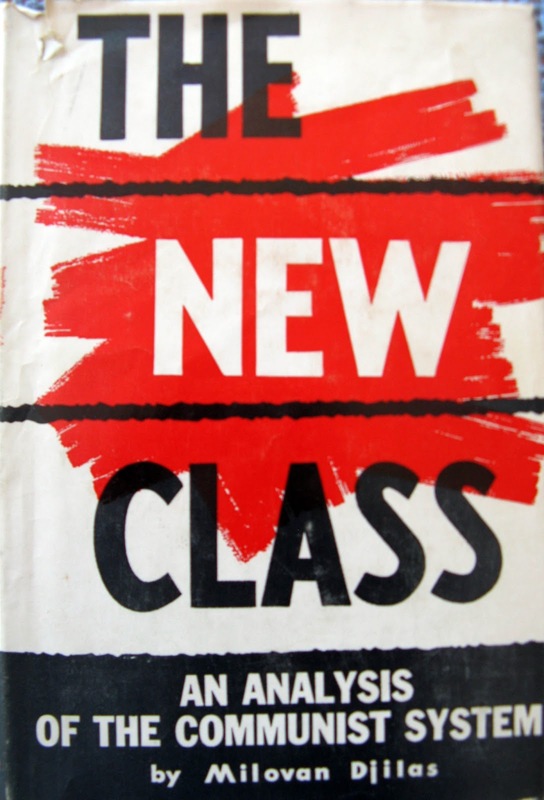 One of his early successes was the publication of Milovan Djilas' The New Class which sold 50,000 copies, a work I had read in college and have a copy on my bookshelf ever since. In fact, to digress somewhat, many of these "immigrant publishers" shared a kind of Ayn Rand prospective on business and viewed any totalitarian regime with revulsion, particularly the Soviet Union at the time. I remember an amusing anecdote involving Walter Johnson in that regard. On November 9, 1965 I was waiting for the elevator on the 11th Floor of 111 Fifth Avenue. It was about 5.20 PM and out the window in front of the elevators, I was gazing north at the top of the Empire State Building as darkness gathered but the city and the Empire State were still ablaze in lights. Suddenly those lights started to go out until the city was in darkness, the elevators had stopped and all lights in the building were extinguished. I asked if anyone had a flashlight. No, no one did. Then, I made my way downstairs in the dark to the 10th Floor. Surely, I thought, Mr. Johnson would know where there was a flashlight and perhaps what was going on. He was frantic, listening to a portable radio and indeed, he had a flashlight and offered to lead everyone down the eleven flights to the street. I remember going down the stairs with Mr. Johnson, the two of us leading a couple of dozen other employees, Johnson turning to me and moaning over and over again: The Russians! The Russians! It's an attack! They've done this! Set in the context of how these immigrant publishers landed on the shores of the United States, the reaction was quite understandable. So in light of that, it is utterly plausible for a Fred Praeger to embrace anti Soviet studies while conveniently accepting CIA funding. My first personal encounter with Fred Praeger - other than running into him at Frankfurt or some of the scholarly association meetings we both regularly attended - was a day I spent with him at his Westview Press office in Boulder Co. It was sometime in the Fall of 1984, not long after Publisher's Weekly had published a long article about me and I think Fred was curious about the competition but basically I think he wanted me to see his operation and pay homage. Of course I was curious as well. We competed with one another but had chosen different paths -- he trying to control all aspects of the business, including manufacturing, whereas my philosophical approach to publishing was to focus on bringing authors and markets together, leaving all manufacturing to subcontractors. He stormed off and my contacts with him from then on at meetings were his menacing glares. He was a creative publisher, and I respected him, but he, too, could be a intimidating and difficult person. He sold Westview only a few years later. There are other individuals mentioned or portrayed in Immigrant Publishers who I knew or dealt with, but not to the extent of the three I talk about here. 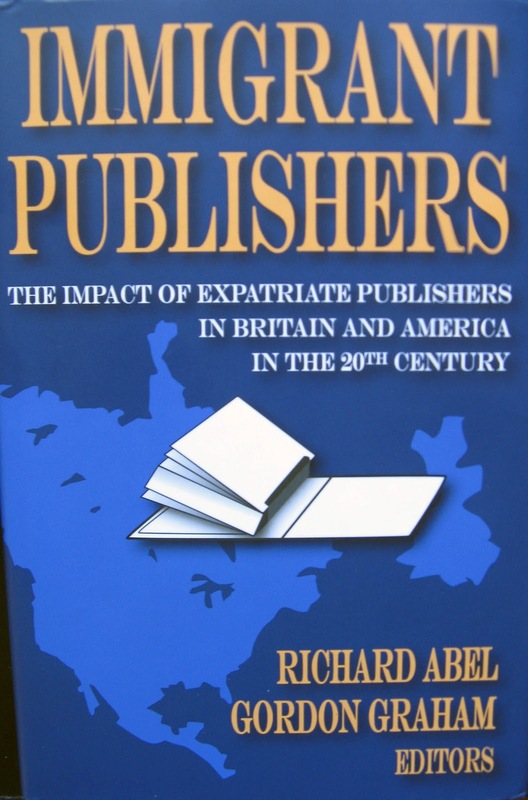 They were exiles from their homelands who immigrated to the US or the UK in search of security and entrepreneurial opportunities in publishing. They were on the cusp of the information age and instinctively they seized that opening for new, thriving scientific, technical and social science publishing businesses. They indirectly paved the way for what we now know as the Internet age (one wonders what they would have done with today's technology). But it all harkens back to what constitutes knowledge. As Charles Kegan Paul (publisher of Kegan Paul & Trench) said towards the end of the 19th century, "It is by books that mind speaks to mind, by books the world's intelligence grows, books are the tree of knowledge, which has grown into and twined its branches with those of the tree of life, and of the common fruit men eat and become as gods knowing good and evil." 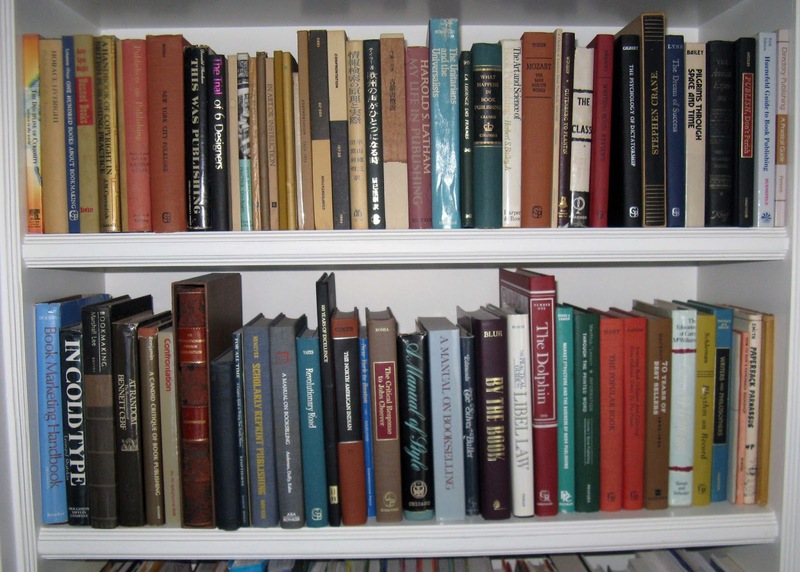 These "immigrant publishers" gave rise to another generation of publishers -- I was among them -- ones that learned the ropes from these pioneers. We in turn laid down the groundwork for the ubiquitous use of computers in publishing and anticipated on demand and on line publishing. As that May 25, 1984 Publisher's Weekly profile concluded its article..."We're working on disseminating online information," says Hagelstein -- derived at first from books, but ultimately, he believes, to be online only....What Greenwood's whole approach seems to be leading to is that so-far elusive development we are always being told is in our future: books on demand.... Perhaps, in its own way and with all deliberate speed, [it] is pointing the way to the future of the book."